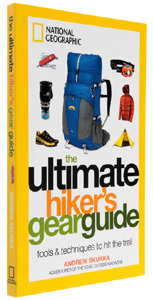 I just finished reading The Ultimate Hiker’s Gear Guide by Andrew Skurka. If you haven’t heard about Andrew Skurka yet, he’s done some insane mileage by foot. We’re talking backpack trips that are typically in the triple digits or more! While many of us Scouters think we’re doing good by knocking off 5, 10, 20 or even 50-milers, this guy is out doing 200, 500 and 800-milers as his “warm ups”! Andrew has logged over 30,000 miles of long-distance hikes, including the Appalachian, Pacific Crest, and Continental Divide Trails… not to mention a 4,700-mile Alaska-Yukon Expedition, 6,875 miles on the Great Western Loop and 7,775 miles along the Sea-to-Sea Route. The only other person I know in this same category of insane hiking is Francis Tapon, who has walked across America, from border to border, four times! I followed Francis’ trail log as he became the first to yo-yo the Continental Divide back in 2007 – that’s over 5,600 miles, and he did it in less than seven months. Yeah, these are ultimate, insane and extreme hikers, wouldn’t you say?? Five to six times as much energy is required to move weight on the feet as weight on the back, so wearing two-pound shoes – instead of four-pound boots – is equivalent to lightening up your pack by 10 to 12 pounds. Gore-Tex remains the market dominator for waterproof/breathable fabric, but eVent is apparently better. A synthetic-filled sleeping bag remains warm even when wet is a myth. With no standard method for assigning temperature ratings on sleeping bags in the US, manufactures rarely explain how they determine these ratings. So a bag that works for me may not work at all for you based on differences in shelters, sleeping pads, body type, metabolism, sleeping style, clothing system, and/or ambient humidity. My intent with this book is to use it as a reference to better understand the gear that is out there, how to use that equipment and why you would want to (or not). Andrew is very thorough covering everything from clothing to footwear to sleeping bags, pads and shelters to maps, navigation, food, cooking systems and even tips on packing and carrying water. Nice! …all the things I’ve suggested on this blog. Andrew does follow that up by saying he started his first long-distance hike with all of these things, but then ditched it within the first 500 miles. 500 MILES?! How many of us Scouters are going to hike more than a 50-miler on any given trip, really. Do you have the kind of schedule that allows more? No matter what level of hiker you think you are, I still believe this a good read to gain a deeper understanding of the gear that can help you have a better hiking, backpacking or camping experience. Andrew’s perspective is definitely one of extensive first-hand knowledge that is at the far upper end of the scale. However, until I reach that level of availability, energy and even interest, I’ll stick with my “old-school style” of equipment since that’s what works best for me. After all, maybe I don’t mind being a “novice”. 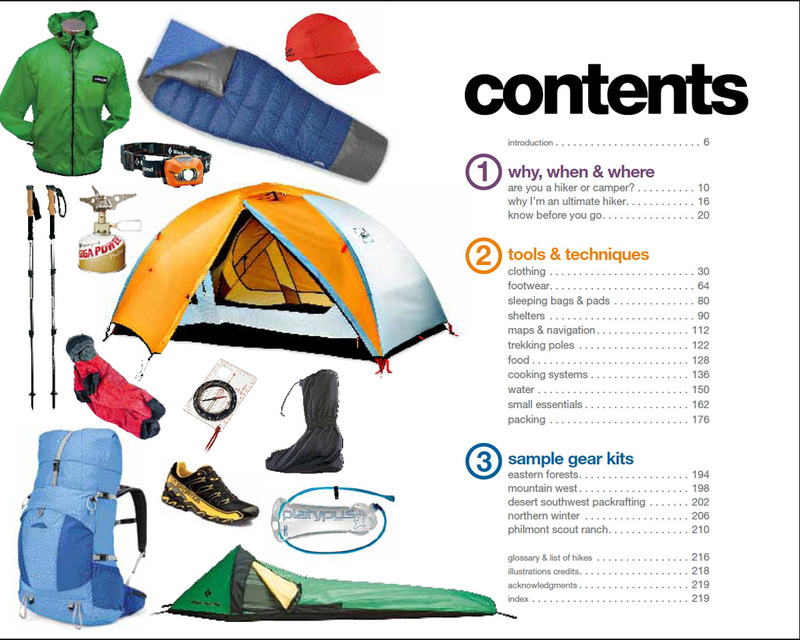 This entry was posted in Books, Gear Guide and tagged andrew skurka, francis tapon, gear guide, hiking, long-distance. Bookmark the permalink. It really is simple to cut 10 pounds off most pack loads without breaking the bank or losing on comfort and safety.